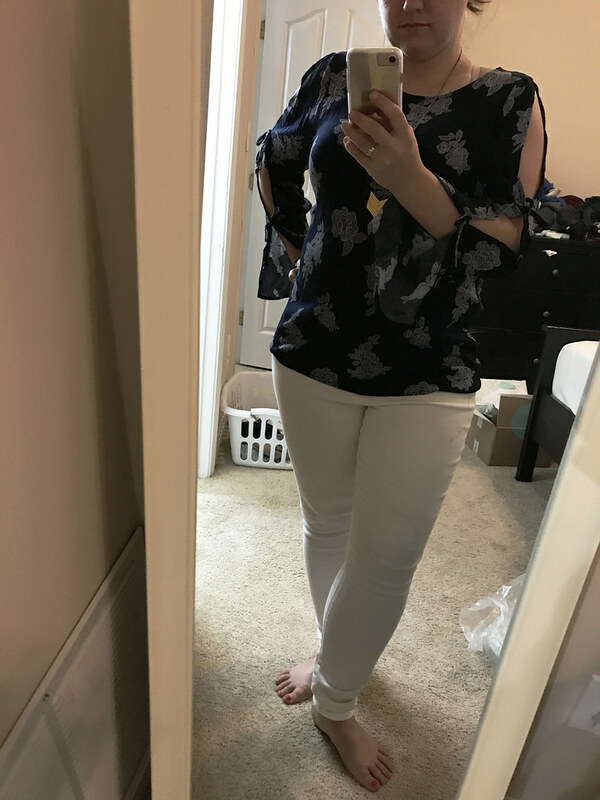 A couple weeks ago (this is belated but whatever), I got my August/September Stitch Fix box in the mail. I wasn’t quite sure what to ask for – I’ve kind of been loving the cold shoulder trend and wanted to be a little, dare I say, adventurous in what I asked for? Alas, this fix? Did not pass go. This is the second or third 0/5 I’ve gotten. 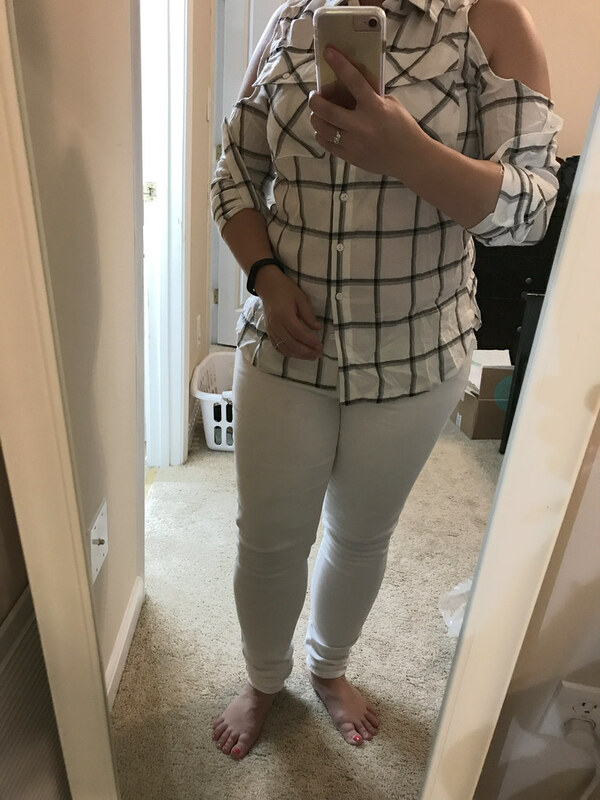 I usually get a 1/5 (even if I love most things, usually if I love the style but the fit is off, I’ll consider it a win) so a 0/5 is a BFD for me. There were a couple of pieces that I did LIKE but already had something too similar in my closet for me to spend the money on them. So i guess not a TOTAL loss but….I was underwhelmed, to say the least. I typically ask for business casual wear, pieces that can translate for office or weekend. This? Not quite it. I did NOT love this. This was a total miss. Tie sleeves don’t do anything for me, nor are they… a big win for the office in my book. This was an even bigger miss. The roll tab sleeves were awkward, the look that they styled it with was just… terrible (window pane top with window pane pants?! Whuuutt???). I just… nope. Okay, so I really liked this one. I did. BUT, the fit wasn’t quite right and it was really pricey for what it was and I have at LEAST one near-identical top so I couldn’t justify it. Womp womp. So close. Ufff. I wanted to love this. I did. 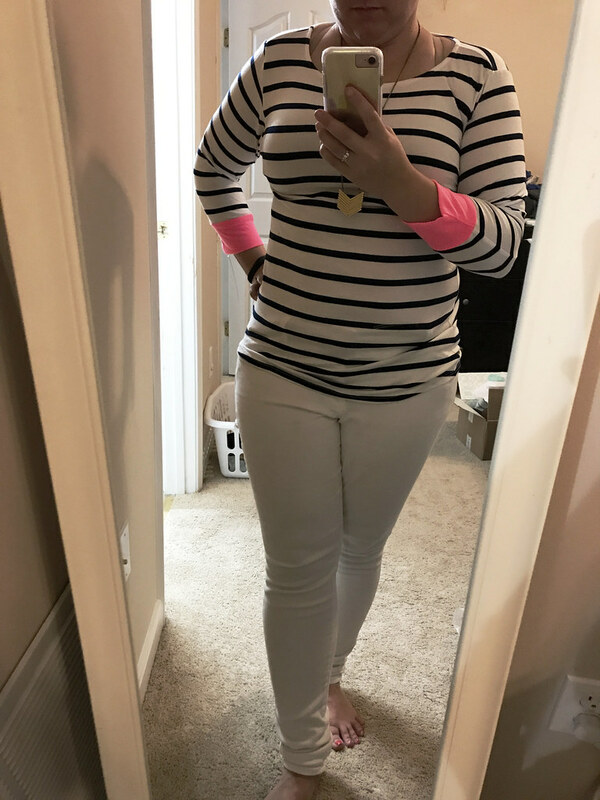 The pink was super cute and a nice pop to an otherwise basic top. Buuutttt, I’m not going to pay nearly $50 for a top that looks like one I already have that I paid $15 for from Target that’s going on it’s 2nd or 3rd season (unusual for Target basics!). 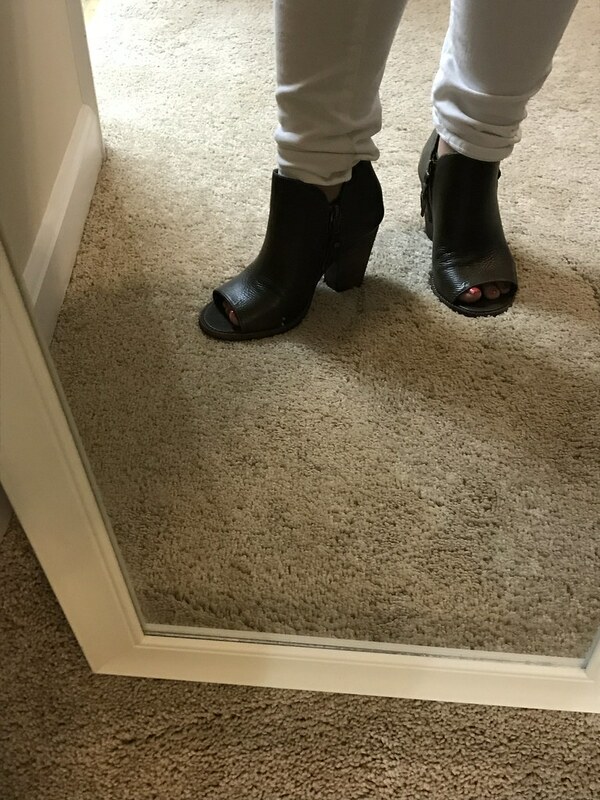 Okay, so I did ask for a peep-toe bootie. These were REALLY cute. BUT. I didn’t LOVE them which for $100? It better be real shoe love. Also, these were more brown, I was looking for cognac/tan or black instead of a dark brown. M’eh. So there you have it. 0/5. I do love getting Stitch Fix boxes. I do. I think I need to check out my Pinterest boards, and really think about what I want to ask for. 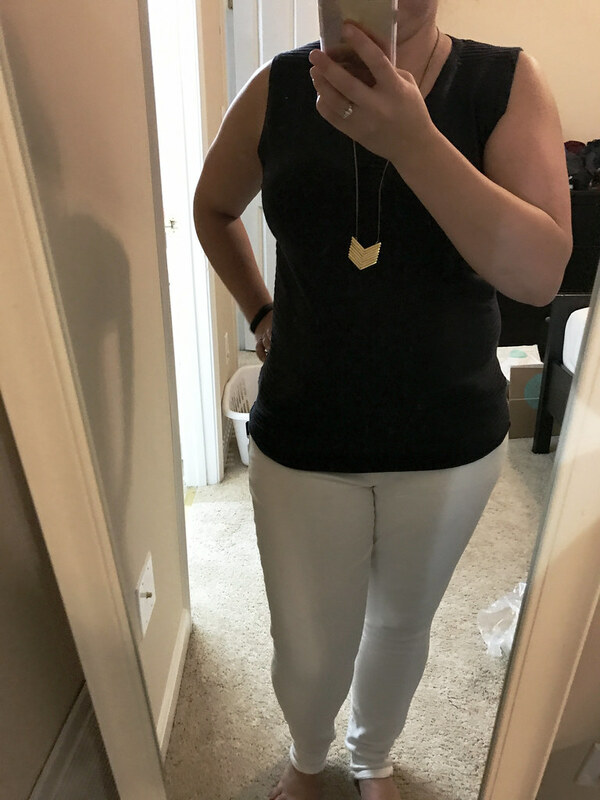 If you’re interested in trying out Stitch Fix, I do recommend trying it once. At the very least, I love getting the style cards and I always get new ideas on how to style pieces in my wardrobe in ways I wouldn’t have thought of otherwise. FTC Disclosure: All opinions are always 200% my own. Links may be referral links for credit or compensation. Thanks for supporting my blog!